#Still working on colors 'n stuff to make it look better, but everything you need to know is inside. I have been playing PoE since Warbands league, It's my first build guide and I'm open for any kind of feedback from you guys. So, what's EK Nova and how this works? That makes our EK shoot projectiles in nova around our character. While clearing projectiles cover whole screen. Your HP Pool Depends on how much you want to sacrifice for more IIQ. I'm using full MF setup running at 4.3K HP and I'm perfectly good with it. 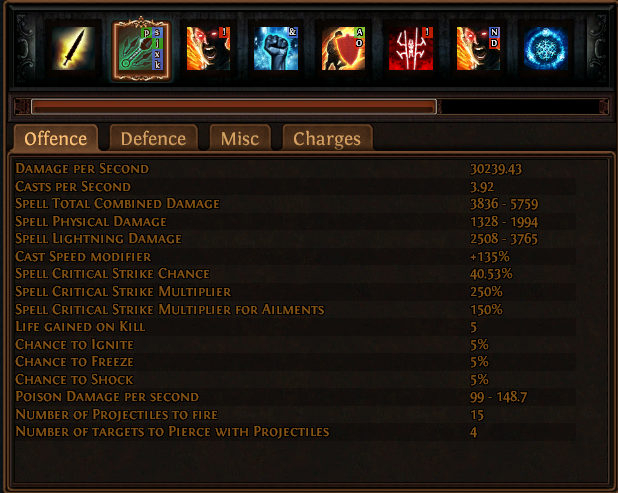 Anyway, best option here is pair of Kaom's Roots, especially if you go with Tabula Rasa body armour. Bisco, don't even try anything else unless you have to, we are in Bisco's meta bois. If you decide to go with Kaom's Roots you will need one Unset Ring to socket your golem gem. Taste of Hate is very good here if you can afford one, I'm using this setup tho. Works well for me. Quick explanation: Self casting High Level Immortal Call with Inc Duration linked activates our Arcane Surge to boost our damage. Situational, but usefull. Not using Kaom's Roots and have some free sockets? I'm using High Level CwDT - Summon Lightning Golem - I'm just lazy. Using Kaom's Root's and Unset Ring? 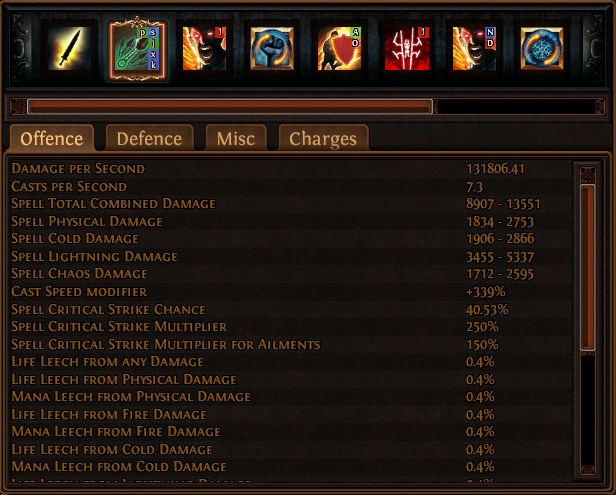 Try using your Immortal Call - Arcane Surge setup as often as possible, as it gives us pretty nice damage boost. Look out for Proxy Shields, those are dangerous, as we can't leech through them, try using your movement skill to get inside it. Do not chase single little white mobs while speed clearing, they are not worth it. Be careful with Inspired Learining as "Shorud Walker" mod is not the best one, I always wait it out on higher tier maps. Did i mention volatiles earlier? I hope you found some useful info in here, again I'm open for any feedback from you. Kill alira => help alira. Will fix that as I get back from work. Well leveling section is very important, any ideas? Easiest way to level is using firestorm/totems with Ancestral Bond and some totem nodes, respecing when you are ready to use EK. I will add detailed leveling section when i find some free time. I got a tabula and two lifesprigs as well as some -mana cost rings (Elreon rings). That was pretty easy to level with EK. I'm 56 after my first night leveling so it's decent. Why brightbeak? 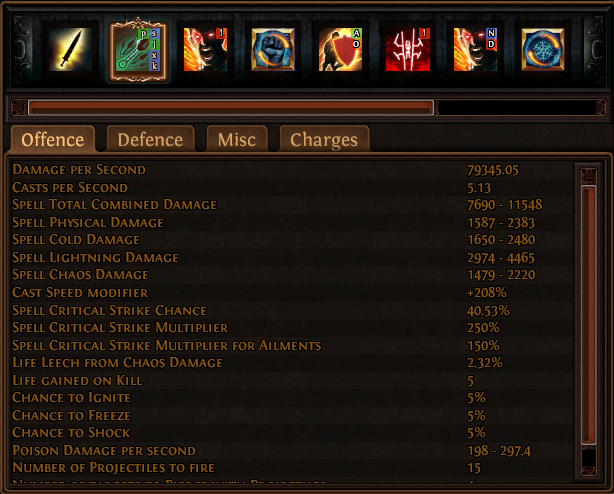 EK doesn't consider weapon crit and we aren't using cyclone. Just for whirling blades speed? Considering half of our damage is phys it is still pretty good dps boost, Attack Speed, yes, helps with WB and on top of that resistances. All of that for 2c? Of course if you got better budget solution please share it, I'd be happy to include it in guide if it's reasonable . I just threw these together from some daggers, pretty cheap. If you get good ones, profit, but good for starting imo.